Warren Greenberg, an emeritus professor of health economics, died earlier this month. Warren Greenberg, an emeritus professor of health economics in the Milken Institute School of Public Health, died this month. He was 71 years old. Greenberg worked at the Federal Trade Commission before coming to teach at GW in 1982. At the FTC, he led trade activities related to health care and created a conference about competition in the health care industry. He taught at GW until 2009, working primarily with graduate students in the health policy department, said his wife, Judith. She said that outside of GW, Greenberg combined his interest in health care research with his love for Israel, establishing an organization called the Washington Institute for Israel Health Policy Research. The couple closely followed the D.C. arts scene. Though they lived in Maryland, they also owned a condominium downtown so they could easily go to the National Gallery of Art and the city’s other museums. 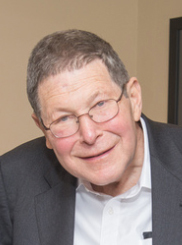 Greenberg earned a bachelor’s degree in economics from Temple University, and went on to earn a master’s degree from the University of Pennsylvania and a Ph.D. from Bryn Mawr College. He is survived by his wife, Judith; daughter, Elyssa Ram; and grandchildren, Andrew and Danielle Ram. This article appeared in the January 26, 2015 issue of the Hatchet.